Add melted butte, mix well. 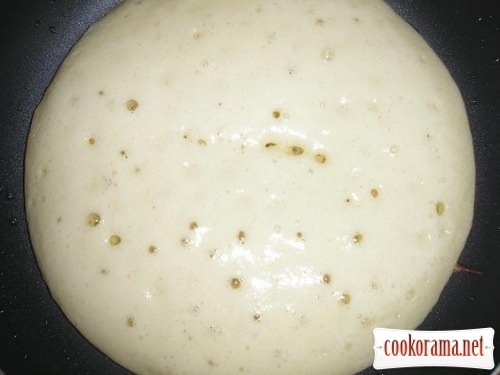 Add baking powder and flour, knead thick dough. Then add milk. By recipe milk should be heated, but I poured milk from the fridge. 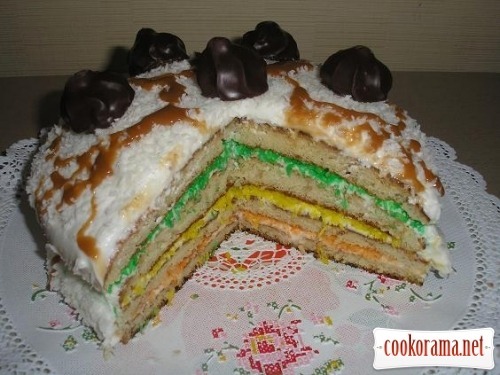 Mix all well – you get dough, as for pancakes. Pour in heated, oiled pan 1,5-2 ladle of dough (depends from the size of pan). Fry covered with lid, over a low heat for 1-2 min. 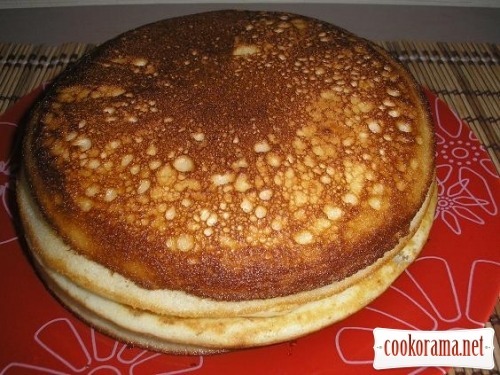 When the top of the cakes will be covered with holes – turn to the other side, cover with lid and fry for another minute. 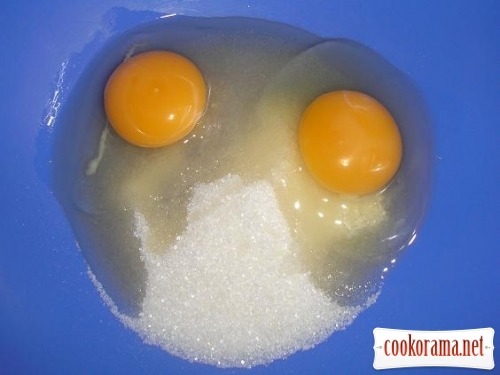 Now prepare cream. You can take any cream, in your sole discretion. I mixed sour cream with sugar and thickener for cream. 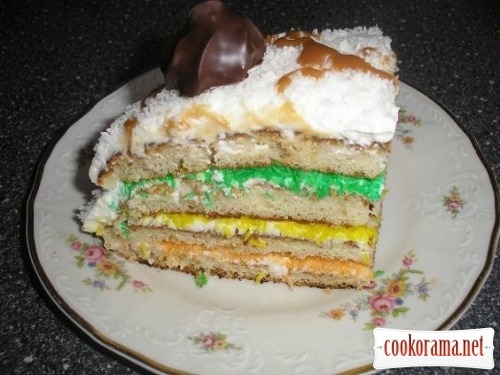 Grease cooled flat cakes with sour cream cream and sprinkle with colored coconut. 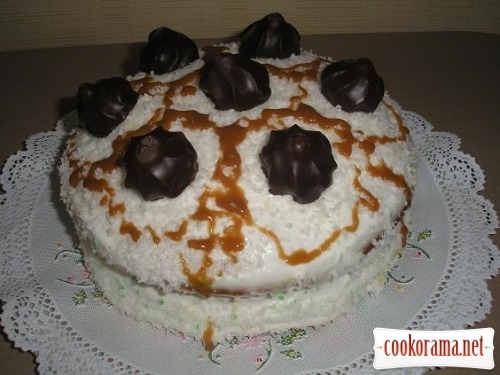 Decorate cake as you wish. Better let it stay-soak for 1-2 hour. 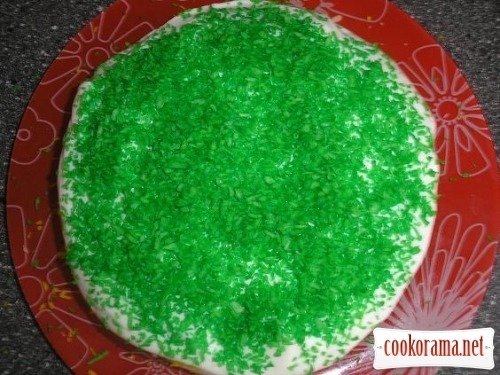 Top of recipe "Cake "Coconut traffic light""
Recipes, Cakes, Cake "Coconut traffic light"